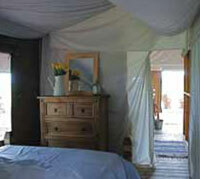 The Safari Tents are situated right next to the magnificent Tyningham beach with lovely views over the fields and dunes. 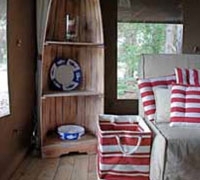 We have 7 fabulously spacious, comfortable and luxurious safari tents kitted out to the highest specification with an internal area of 4.5m x 9m and with additional en suite WC and hot showers. 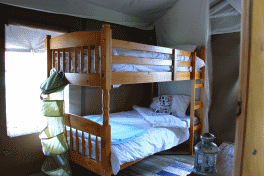 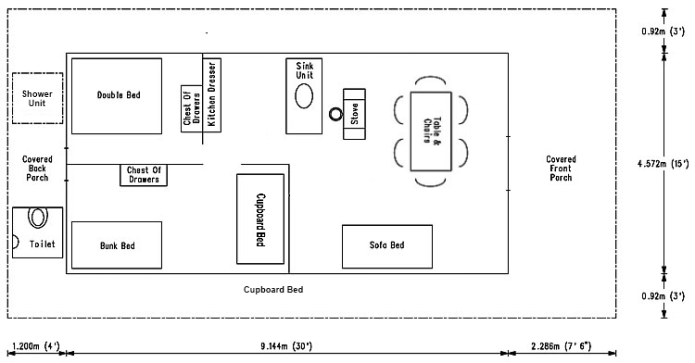 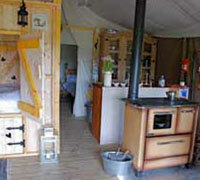 Each tent sleeps six/eight people in two bedrooms and a cosy “cupboard” bed (see floor plan below). 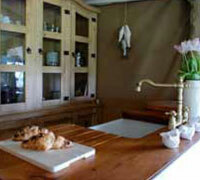 Kitchen area has a “Belfast” sink unit, pine dresser and amazing wood stove with oven. 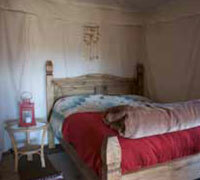 Also included are all pots, pans, crockery and cutlery. 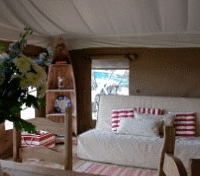 Comfortable lounge/dining area opens out to a covered veranda for sitting out. 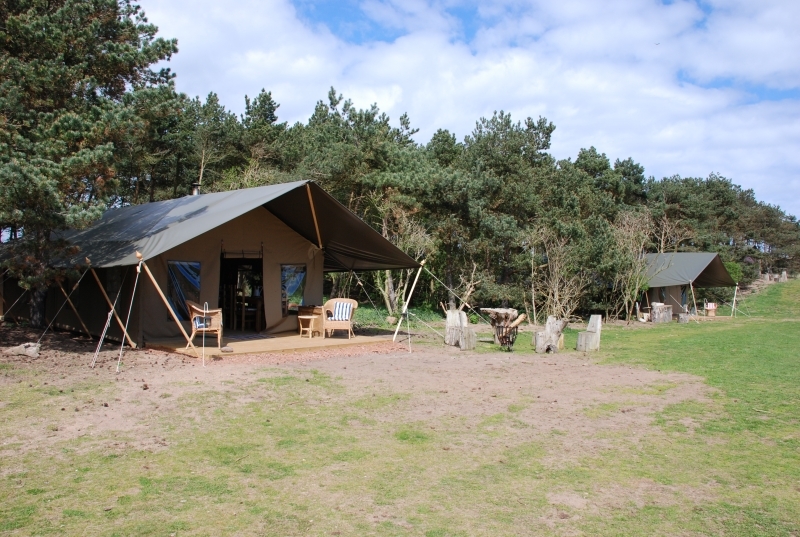 With duvet linings, wood burning stoves, hot showers and comfy beds you can enjoy being at one with nature in absolute comfort.